The Southern Workers Assembly has been building the Southern Workers School as an important institution to train and develop rank-and-file workers to organize the South. The school has held eight sessions since March, tackling issues such as the role of slavery in shaping the political economy of the U.S. South, lessons from the history of past organizing campaigns such as Operation Dixie and the Civil Rights movement, fighting women’s oppression in the workplace, and building campaigns at work for more protections for LGBTQ people after passage of North Carolina’s House Bill 2, which targets trans people. The school also offered basic organizing skills such as learning how to map your workplace and tips for one-on-one discussions with co-workers. 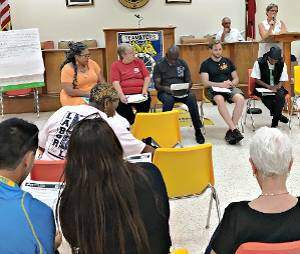 “The school is really important for us to continue to draw in Southern workers to educate ourselves and to continue to broaden out this fighting movement at the workplace,” stated Leonard Riley, leader of International Association of Longshoremen Local 1422 and the Carolina Alliance for Fair Employment in Charleston, S.C. The latest school session occurred amid a massive year-long media onslaught about the capitalist presidential elections, making workers feel like almost nothing else is going on in the world or at their workplaces. While most workers are confronted with an impossible choice between voting for an outright racist billionaire who hates workers like Donald Trump, or holding their nose and voting for another racist, anti-worker candidate like Hillary Clinton, the school sought to elevate workers’ roles in building a social justice union movement. 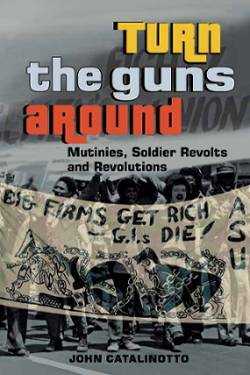 After all, it is the class struggle that is the motive force that changes history, not rich politicians. The movements for Black Lives Matter and Fight for $15 have rocked this country over the last few years and totally changed the expectations of the masses. They are forcing the politicians to change their political programs in an attempt to hold onto their fading support base. Delegations participating in the school included ILA dockworkers from Charleston, S.C.; fast food workers and members of Raise Up from several cities, including Richmond, Durham and Biscoe; state and city workers belonging to the United Electrical Workers (UE) from three states, including Local 150 from North Carolina, Local 160 from Virginia and Local 170 from West Virginia; the National Nurses Union/National Nurses Organizing Committee leadership from El Paso, Atlanta and Tampa; members of the Communication Workers from Virginia, some who victoriously struck Verizon and won a better contract and others who are currently voting on an AT&T contract; day laborers from New York City who belong to Jornaleros Unidos; and members of the Pitt County Coalition Against Racism in North Carolina. Several other workers who are not yet organized but are helping to form organizing committees came from plants and workplaces across the South. Leaving the school, workers identified roughly 50 workplaces in their areas where they will begin leafleting as part of a massive agitation campaign to draw in more workers to the Southern Workers Assembly, build organizing committees and plant seeds for future union organizing campaigns.